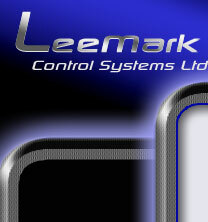 Here at LeeMark we specialize in large bespoke control system design. Our feature-rich designs help PLC & HMI systems reach their full potential. Recipe management - Recipe and batch management systems that involve recipe creation forms, operator level editing, batch & recipe traceability. Advanced logging and reporting features - Using VBA to create custom reporting forms and databases, providing information in the format you want. DCS systems - Distributed control systems, well balanced for optimum communication efficiency and data management. Redundancy - HMI and PLC redundancy built in to eliminate factory downtime. Distribution of control so that if one PLC fails, only one section of plant would be inoperable. Complete package - Panel design and electrical installation assistance, on site commissioning, I/O testing and full support of installed systems (including remote support from our office). Customers ultimately have the choice over what type of system is installed, we take it upon ourselves to analyse each system thoroughly to give an informed opinion on what philosophy would suit best. Many benefits of localized control can be overlooked by installing large data-centric systems and vice-versa. "We believe in offering solutions to suit our customers."